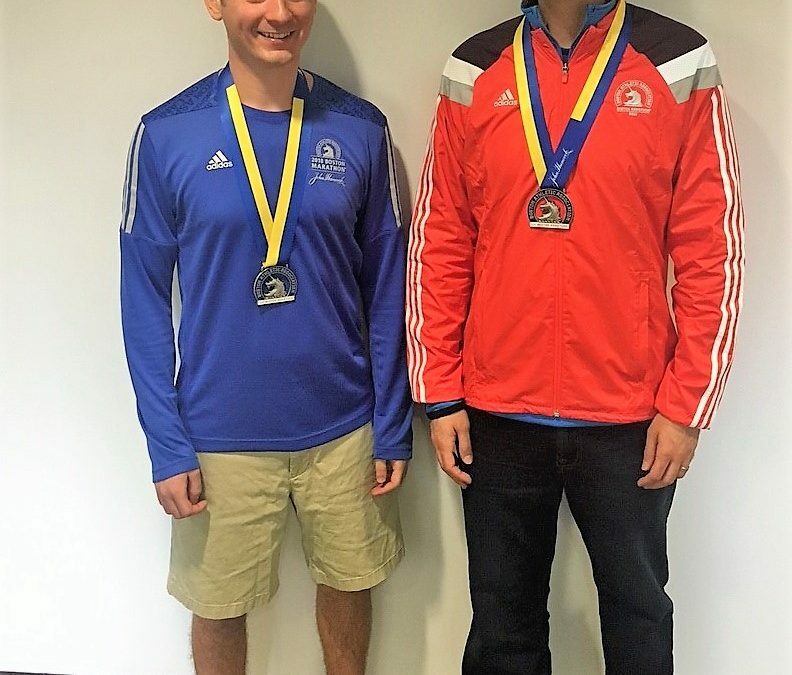 CMBG3 Law wishes to congratulate team members Matt Lite and John Gardella, who on Monday finished the 2018 Boston Marathon for seperate charities. This was Matt’s second marathon and John’s third. Matt ran the marathon on behalf of the Massachusetts General Hospital Pediatric Cancer Center, which fights every day to improve the quality of life of children battling cancer. Matt alone raised over $7,000 towards this amazing cause, and the team raised nealry $1,000,000 just by fundraising effortds associated with the marathon run. To put these numbers in perspective, it takes over $10,000 just to fund one child into a clinical trial. Additionally, all the therapeutic play support groups and the psychotherapy are solely reliant on what the MGH team raises. John ran the marathon on behalf of Team MR8, the marathon fundraising team associated with the Martin Richard Foundation. The Martin Rihard Charitable Foundation is a charitable foundation formed by the parents of eight-year-old Martin Richard, who was killed in the bombings at the Boston Marathon on April 15, 2013. In the days after the bombing, a photo of Martin holding a handmade poster that read “No more hurting people. Peace” was shared over the Internet and made many see Martin as a symbol of peace. The Martin Richard Foundation honors Martin’s message of “No more hurting people. Peace” by investing in education, athletics and community. Martin Richard’s view of peace went well beyond simply wanting to prevent violence. To Martin, peace meant things like togetherness, teamwork, fairness, sportsmanship, inclusion, and simple acts of kindness. His Foundation strives to encourage youth and adults to improve the lives of others and become bridge builders, peacemakers, leaders and entrepreneurs. CMBG3 Law was proud to support Matt and John in their marathon journey and to be able to support both the MGH Pediatric Cancer Center and the MArtin Richard Foundation. If you would like to discuss our team members’ involvement with or the firm’s support for any chiratble endeavor, please do not hesitate to contact us at 617-279-8200.